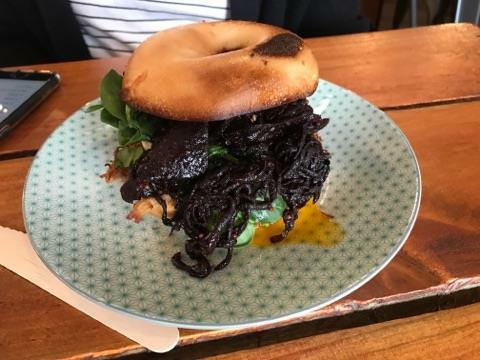 I do love to breakfast at Charlie Lovett when I am on my regular short trips to Melbourne. 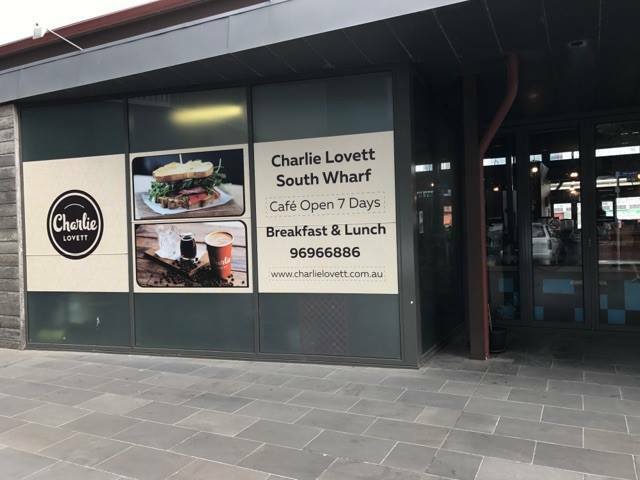 Situated in the south wharf promenade overlooking the water, the spacious café is the ideal spot to have a quick bite before heading off to do some serious spending at the nearby DFO. The ambience inside and out is so relaxing that I have at times resisted the urge of running off to catch the tram to the city and just hang around the rustic space drinking my coffee and savouring every bit of my perfect French toast. Yes, the French toast here is simply divine. 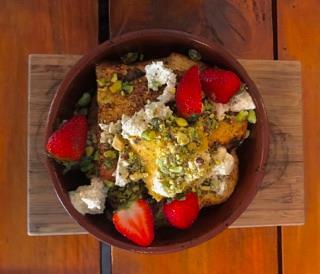 Strawberries, pistachios, vanilla custard all mixed in with baked sourdough toast to create an explosion of tantalising flavours on your palate. The portion is big enough to fill you up for most of the day. The French toast is just one of my favourites here. 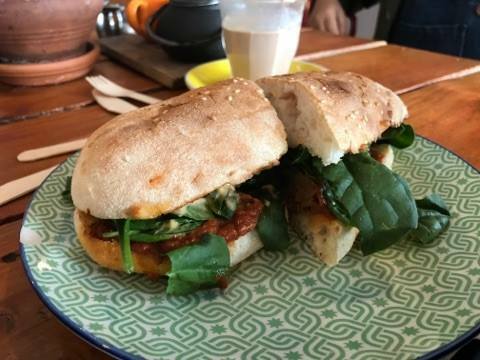 There's that "Godfather" sandwich, which is something to talk about; with ample and delicious meatballs, fresh spinach and melted cheese this sandwich is a must to try. Charlie Lovett is a trendy place with an arty vibe that attracts many. Though early mornings are relatively quite it becomes quite busier with the patronage of the office workers and the visitors to the nearby convention centre by lunch time. Occasionally there are long queues, but this doesn't discourage the regular customers who are used to the freshly made breakfast delights served at this delightful café. The staff here are always running around like busy bees serving those who come through their doors, so don't expect them to stand around chit chatting with you. They are polite and courteous trying to get your order to the table as quickly as possible. If you are in at a busy time do expect delays, this is one reason why I tend to turn up at Charlie Lovett as soon as their doors open. Why? Trendy cafe with good food and friendly service overlooking the water.